Government of Punjab is leading in the way to introduce new schemes related to students and proved to be very generous in these schemes. For example, Danish Schools and Laptop Schemes are two big programs of this government. 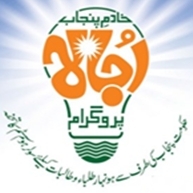 Now Punjab Government has taken one step further by announcing yet another scheme with the name of "Ujaala Program". 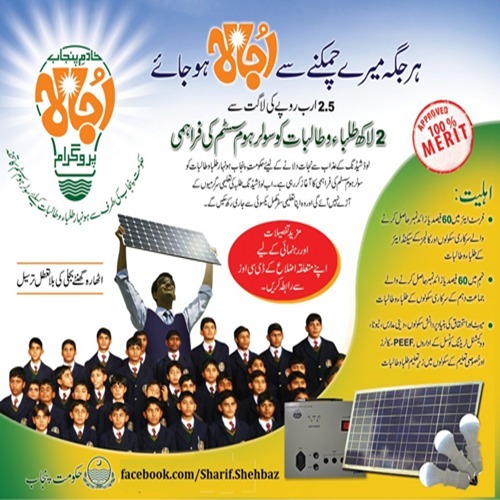 200,000 solar home systems are purchased for Rs.2.5 billion, to distribute among talented and needy students of the government schools of the province. These standalone solar systems can provide uninterrupted DC power to lit its LED lights up to 18 hours and will help students to study during load shedding. Another main feature of this program is to develop awareness about solar energy to reduce depoendency on national grid and to improve environmental conditions. For further information, contact with DCO of your district or comment in the below box.